Are you looking for an opportunity to succeed and grow professionally? 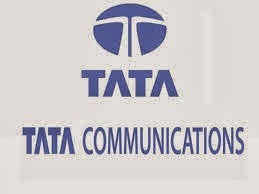 Tata Communications provides the stepping stones that enable you to create your optimal career path.As part of the Tata Group, we offer a dynamic work environment where you’ll benefit from the innovative thinking and progressive policies that result from working with some of the industry’s leading experts..
To lend credence to C-DAC's HR philosophy of being employee friendly, we follow a well thought out induction plan with a mentoring process, pragmatic training and development, a performance appraisal system, and a fair policy of rewards, incentives and recognition. 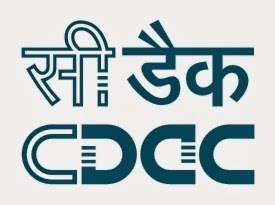 To know more about working with C-DAC, please Click to read the information. L and T's amazing growth story has been possible because of the fresh talent that flows in from engineering campuses. The top management believes in transforming fresh graduate engineers into future leaders by making them go through the crucible of challenging assignments. The belief is strengthened by the fact that most of the business leaders in L and T have joined as trainees and have grown up the ladder. The role of the State government in the growth and development of the software industry in Hyderabad has been a crucial one. Companies received due invitation from the government to come to Hyderabad and set up base for their operations in India. Land allocations were done in specific areas for the companies and this was furthermore followed by the establishment of an IT Park called HITEC City in Hyderabad that allowed companies to build up their companies with state of the art structures and modern amenities. IT has made possible information access at gigabit speeds. It has created a level playing field among nations like India, China, Taiwan, etc. and has made positive impact on the lives of millions. The pioneering spirit behind the IT revolution has certainly been the Internet. With most people having access to the Internet in one form or the other, software developers, web site development and web application development companies have benefited and profited tremendously. KTree, a Global IT Company, offers high-quality, IT consulting, technology implementation, and application outsourcing services. 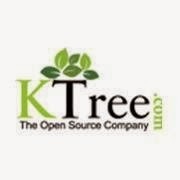 KTree's main areas of expertise are Systems Integration (SOA), Web-based and Custom Application Development, Data Warehousing, Enterprise Portals, Packaged Application Implementation, Maintenance and Infrastructure Management services for various Fortune 1000 companies and government agencies. 1. BE, B.Tech (CSE, IT, ECE)& MCA (70%throughout career), 2014 passed outs. 2. Place of posting: Hyderabad. “Candidates should be willing to join immediately”. 1.Basic Desktop and computer knowledge. 3.Possess good organizational and time management skills. 4.Display strong initiative in resolving issues of customers. 5.Must be capable of demonstrating problem solving skills.